A significant reform in our law is in sight with the introduction of the Consumer Protection Bill, 2015, a bill, to replace the Consumer Protection Act, 1986. One of the major initiatives is the proposed reprieve to the consumer from unfair contract terms. Contracts are voluntarily formed and the parties are free to set the terms. The court’s role is limited to interpreting the terms set by the parties. The courts were committed and bound to this freedom of contract. However, as the economy and consumer contracts developed, the courts also experienced the imposition of a strong party on the weak. The courts could not be an instrument of this imposition and attempted to fashion remedies, while being within the bounds of contract law. One can see this tension from the 1880s onwards. The expanding railway companies, steamer companies and other services, issued tickets, vouchers and receipts to the customers. These acknowledged the contract and attempted to set the terms of the contract. The terms were to be incorporated into the contract as implied terms. The courts ruled that while the terms beneficial to the customer were binding, the harsh or onerous terms were not binding, unless notice of the terms was given to the customer. This has given rise to a line of court judgements known as the ticket cases. Similarly, in consumer contracts, for one reason or the other, the courts refused to incorporate terms from past dealings or trade practices. From the 1950s, consumer contracts proliferated. 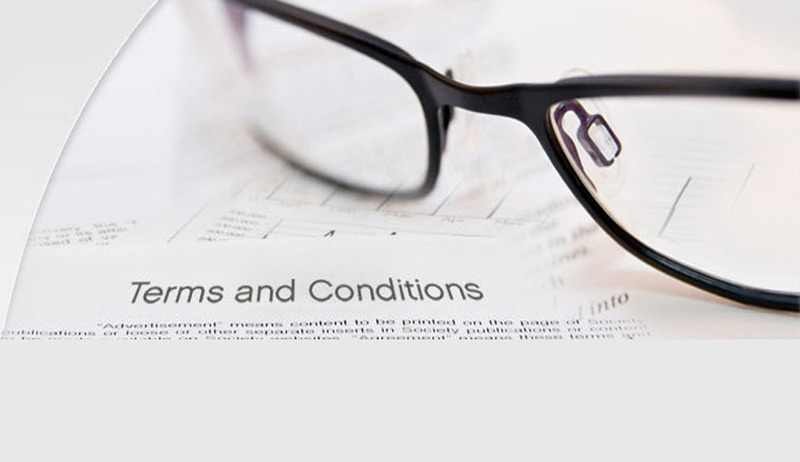 Corporations developed printed standard forms to contract with the customers. As the customer signed the form to form a contract, the terms were irrefutably binding on the parties. In the standard forms, the corporations invariably exempted themselves from liabilities and limited the rights of the customers. This left the courts in a bind. The courts could neither interfere with the terms nor be a silent witness to the unfairness of it. Lord Diplock, in Schroeder Music Publishing Co Ltd. v. Macaulay, a judgement of 1974, describing standard form contracts to be ‘of comparative modern origin’ complained that the corporations being stronger effectively confronted the customer with: “If you want these goods or services at all, these are the only terms on which they are obtainable. Take it or leave it”. Lord Denning, another reformer, corrected that the customer was not even given the freedom of ‘take it or leave it.’ Instead, he was simply given a form and told: ‘sign here’. And if things went wrong, the corporation would say: ‘You have no claim. Look at the conditions on the form. You signed it and are bound by those conditions.’ (Levison v. Patent Steam Carpet Cleaning Co. Ltd., (1977) 3 All ER 498). Faced with this abuse of power, by the strong against the weak, by the use of the small print of the conditions, the judges did what they could to put a curb on it. They still had before them the idol, 'freedom of contract'. They still knelt down and worshipped it, but they concealed under their cloaks a secret weapon. They used it to stab the idol in the back. This weapon was called 'the true construction of the contract'. They used it with great skill and ingenuity. They used it so as to depart from the natural meaning of the words of the exemption clause and to put on them a strained and unnatural construction. European Union is mandated to develop common trade practices and consumer rights across the member states. This is towards developing the European Union as a common market, without barriers. It took note of the problem of unfair terms in consumer contracts. The European Union, in 1993, enacted directives on unfair terms in consumer contracts. The member states were required to give effect to it by domestic legislation. The UK gave effect to it by the Unfair Terms in Consumer Contracts Regulations, 1999. This further provided protection against unfair terms for the consumers. Reform of our law has been overdue. The Consumer Protection Bill, 2015 addresses this. It seeks to make an unfair contract term in a consumer contract void. However, the provisions in the bill need strengthening. Much thought and effort has gone in the European Union directives. The directives define an unfair term to be ‘a term(s) significantly tilting the rights and obligations against the consumer’. The bill defines it as ‘any unreasonable charge, obligation or conditions which puts the consumer at disadvantages’. A charge or obligation will arise only if it is a term of the contract. Thus, for the purpose of comparison, the provision in the bill could be put as ‘a term(s) which is unreasonable and puts the consumer at disadvantages’. The key difference then is, under the bill, a term must cross the higher threshold of being unreasonable to be declared an unfair term, while in the European Union directives a significant imbalance in the rights and obligations of the parties would do. We may consider the less stringent threshold. The UK Regulation illustrates the definition of unfair contract term with sixteen different kinds of terms. The bill illustrates it with five. In the arrangement followed in the bill, several unfair terms will not get covered by the illustration. An example is a term exempting a service provider from liabilities for not providing the service. In these cases, the consumer, under the general definition of unfair contract term, will have to establish that the term is an unfair term. This is an unnecessary burden on the consumer. The intention is to give remedy against unfair contract terms. An effective way of doing this is to express an unfair contract as a principle and follow it up with a comprehensive list of illustrations. The author is Professor at IIM, Ahmedabad. The views expressed are of the author and not the institution.